Baseball readers look for authors like Michael Holley. I’m not saying that Holley is as fascinating and easy as Peter Gammons, or as visceral and hypnotic as Leigh Montville. But, in various parts of this book, Michael Holley has the knack of being equal parts funny and accurate while he spins ideas and images. He likens Grady Little’s clash with John Henry after the Pedro debacle as a conflict between traditional and new, acoustic vs. electric, the Jocks vs. the Geeks. He admits he doesn’t know exactly when the cultural shift happened with Baseball Managers, but it made the Weavers, Alstons and Andersons politically incorrect as suddenly as a corporate buy out hits a Senior Manager from their blind side. Earl, Walter and Sparky represent the old days of Manager as Dictator. Little represents Management By Instinct. Terry Francona represents the New Age Manager, one who makes everyone comfortable by backing his players while using team leaders like Veritek, Ortiz and Lowell to encourage peak performance. This book is all about Tito. It could have been titled, “Exploding Knees, Blood Clots, Mind Blowing Championships, and What You Can Learn By Managing Michael Jordan”. Francona’s potential as a player was promising. 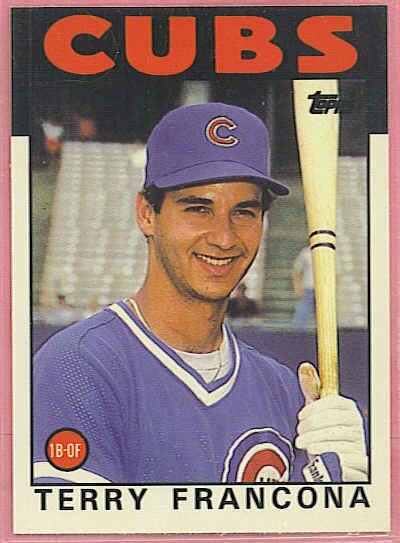 It was pocked with injuries that ended his playing career and nearly took his life before he got a job with the Sox. He was a natural in every sport he tried. His work ethic was obsessive. He was a student of the game from age 10, telling Dad that young Bert Blyleven’s curve ball was one of the best he’d ever seen. Abundant playing talent, betrayed by his body. Bonus Baby, First Round Pick, Starter, Platoon Player, Defensive Replacement, Pinch Hitter, Player Frustrated By Injuries, Bench Warmer, Player Released. Terry was all of those players as he rose and fell. Understanding what it means to be each of those players helps him guide performance of others. The undercurrent throughout the book is the value of long and powerful human relationships. With his Mom Birdie and Dad Tito, wife Jacque, Grandfather Carmon, best friend of 30+ years Brad Mills, Michael Jordan, the Clubhouse guys, the players. 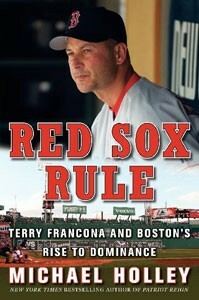 This book is an easy to read and thoroughly enjoyable take on Terry Francona and the New Age Manager. It’s well worth the investment, especially if you are dying to better understand the Old Towne Team beyond the commercial version presented everyday by NESN, and with more perspective than the daily coverage provided in the Globe and Herald. Holley: Rare insight and humor.